It was 20 years ago that this issue appeared in Vilnius, quite an anniversary, don't you think? 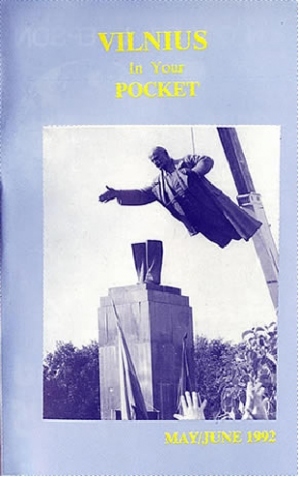 I was but a child of 10 years old that day and together with my parents and countless many more people I witnessed the statue of Lenin being pulled down (or, rather, first it was pulled up and only then down) in 1991. I remember seeing it clearly because it didn't go smoothly- as you can see from the photo, it didn't go away in one piece. Many Soviet period sculptures met similar fate of removal and now are exhibited at a place called Grūto parkas.People would try and get a piece of the former monument as a souvenir. But please bear with me for another moment while I will be telling you a short summary of a long history of the place called Lukiškių square. The name of the place is most probably derived from a person's name Lukas (the majority of our places became named after people or sources of water, e.g. Vilnius the capital comes from the river Vilnelė). It's first undisputed mentioning goes back to 1441 in a privilege released by the Great Duke Casimir Jagiellon. It was rather an empty place until the XVI th century except for a small tartar settlement. A church built there is a hint at an expected growth of the place but the XVII th century marked a century of war and unrest ("Deluge" it is called. Russian tsar who raided the city stayed at Lukiškės because after 14.000 people slaughtered during the first days of war it was impossible to stay in the city center because of hygienic reasons). The port established continued working and different wares were stocked in warehouses. The XVIII th century came with a hospital built and that was a strong step forward in the development of this part. After Kingdom of Poland and the Great Duchy of Lithuania were partitioned among its neighbours, this part of Lithuania belonged to the tsarist Russia. There were several uprisings and their participants were publicly executed (hanged) in this square (then it was a market square). Then after WWII came the Soviet regime and in 1952 there was a statue of Lenin installed in the middle of the square that now served for leisure. An infamous KGB museum stands side by side with the square. There is an ongoing project of what to do with this square today. Obviously, Rome wasn't built in a day, nor will this project be completed so soon. That is why there appeared initiative to bring forgotten, unpopular, and otherwise (morally or physically) derelict places to life. So this summer sees the fourth season of Bubble the City. 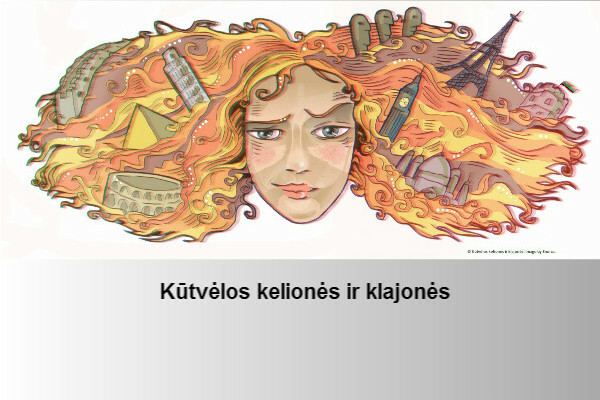 This event takes place every second Monday in summer and in more than 15 world cities, the one in Vilnius starts at 18.30. The nearest event coming up is May 28, 2012! All you need is to bring soap bubbles to the announced place in your city and to bubble it. If your city doesn't take part, you can organize its joining with the community of bubbling cities. You can also LIKE the idea on http://www.facebook.com/burbuliatorius or follow them on Twitter @laimikis. I look forward to seeing you at the event in a week's time. Packing list: a bottle of soap bubbles, a blanket, some sandwiches and cold drinks, a guitar, a camera, a good friend and a broad smile. 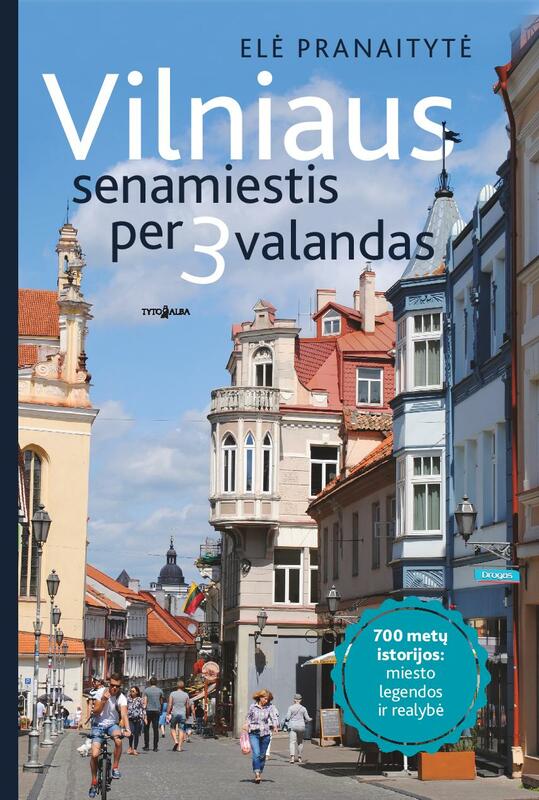 Where is Lukiskiu square in Vilnius? Click for a map.